Since their self-titled debut EP on Modular Records dropped late last year, DiS has been keeping an eye on Perth-based (that's the Australian one, not the colder Tayside variant north of the border!) trio Tame Impala's progress, including a recent DiScover show in Manchester. Never ones to miss an opportunity to find out more about what makes them tick, we caught up with the three of them - guitarist/singer Kevin Parker, drummer/co-vocalist Jay Watson and bass player Dominic Simper - just as follow-up 12 inch, 'Half Glass Full Of Wine' hits the shops. KP: Mostly me. Some of them are wholly conceived by me – like I write every single part. Others are just a natural evolution. You have a very eclectic, and in some ways retro sound for such a young band. How did you get to hear so many of the artists that seem to have influenced you? KP: We are big music nerds. We collect music. We love a lot of stuff from the 60s and 70s but its not all we’re into. We like different eras of music. What are your main influences both lyrically and musically? KP: It changes a lot, but melodically I’m quite into Love, they’re my favourite sixties band. Queens of the Stone Age I quite like too. It used to be quite different, a lot of the songs on the EP are really old and have different influences. They were written when I was really into Cream. KP: Quite melody-based, free-flowing grooved, psychedelic music. Your first EP received quite a few favourable reviews in the UK music press. How much attention do you pay to what the media are saying about you and what impact would it have if you received a negative review? KP: I don’t get offended about bad reviews I read, especially things about the first EP, as that was all recorded before we ever signed a contract. It wasn’t designed for music journalists to pick at. It was made for the sake of listening to by myself and my friends; to put in the car on the way to the beach or something. KP: An Impala is an African animal with horns. And a tame one is one you come across randomly, and it doesn’t run away from you. And you’re able to hang out with it. DS: Almost like a cool deer. You recently played a DiS show for us in Manchester. What do you make of UK audiences compared to those at your live shows back home in Australia? DS: The Lexington show in London was insane. There were people who knew all the words to the songs, and going crazy. The other ones have been a bit more reserved, a bit more arms crossed kind of thing. But its been pretty good, not too different to Australia. What are your plans for future releases and tours in 2009? What about festivals during the summer? DS: Sadly there won't be any English festivals. We haven’t been invited. We’re doing Summer Sonic in Japan though. If you could each choose one word to describe Tame Impala, what would it be? Finally, are there any other bands or artists around Perth that you think we should be looking out for in the future? KP: Several. The Silence, Pond, Cease, Felicity Groom… Whale Hammer...check them out! 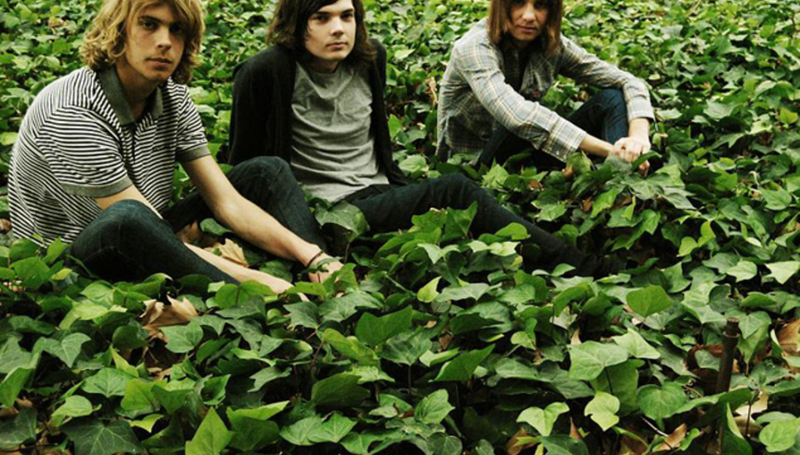 For more information on Tame Impala check out their MySpace.